As the message of the Gospel moves out from the region around Galilee, it becomes clear that Jesus does everything well for all those who call on him, regardless of their race or nationality. 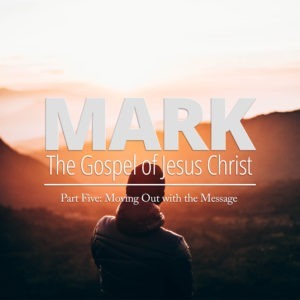 Find out more in this message from Mark 7:24-37. When people hear about God at work, are they reminded of you? Find a pattern to follow in this message from Mark 6:14-29. We often talk about going out on mission with Christ, but we may still struggle with what that means. Gain four principles for going on mission with Christ in this message from Mark 6:7-13.